Ahoy there me lads! Your friendly pirate is back for another app review for ye all buckos. Aside from treasure hunting, me and the crew love playing games on our phones. Aye, these buccaneers can’t get enough of them. I sometimes forget to feed my parrot friend because I’m busy playing with my apps. Har, har, har! I just started playing this puzzle game that I thought you my friends may like. See if it’s something that you might want to play with this Words of Wonder review. 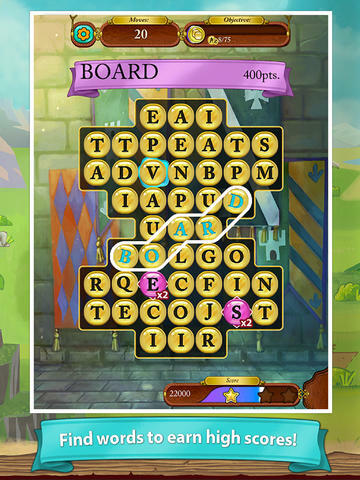 Word of Wonder is a puzzle game that you can play for free on your iOS device. It is also available on Facebook. If you love the popular game Candy Crush, you would also love this as it is somewhat similar to that but with a twist. It is a mix of that game and a word puzzle. 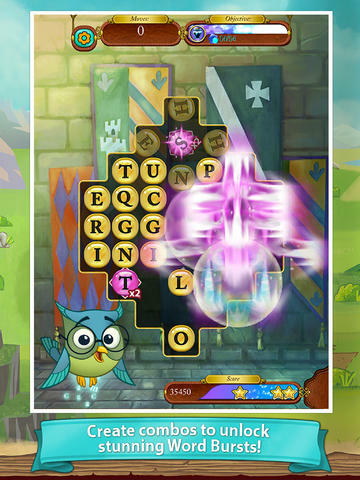 Find words that are composed of at least three letters and they will be removed from the game window. As long as the letters are adjacent to each other, you can connect them to form a word, which makes it different from other games. There are various objectives on each level so you will not be bored of playing the game. You may be asked to remove specific number of tiles or words given a limited number of moves, remove blocks of paints, bring quilts down or achieve a given score in a limited time. You move to the next level upon completing the previous one. Playing a level makes use of energy, which serves as your life. But the good thing about it is that it doesn’t take much time for it to refill. So most of the time, your energy bar would be full again after completing a level. The game has an excellent graphics. The texts are clear and pictures are crisp. There is a visual effect when there’s word burst. You will have this when you complete the objective and still have moves left. It’s somewhat magical; like the effects that you would see when a magic wand is waved on fairy tales. The map starts as dull and colorless. Color is added as you complete each level. There are sound effects when blocks explode and when you finish the level. This gives you more enthusiasm to continue playing the game because it gives a feeling of victory. It also has a background music, which like the background is also magical. It’s similar to those that you would hear on classic films for children. It’s also not loud so you will still be able to concentrate in finding the words even when it is turned on. But in case you wish to turn the sound and background music, there is an option do so. This is a highly recommended game to have on your device. It has different game modes and difficulties so you will feel the challenge. This is something that you will find yourself wanting to play over again.